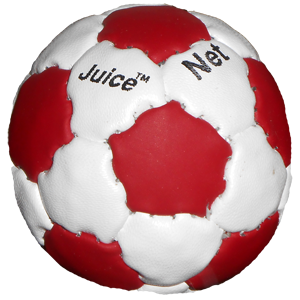 The Juice Netbag was first introduced in the mid 1990s. 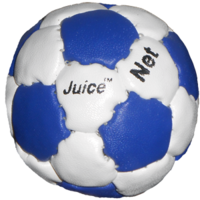 Very firm and heavier than regular footbags, this one is ideal for the fast-growing sport of Footbag Net. 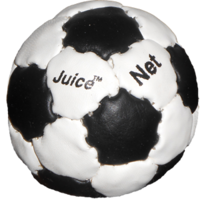 Handmade from top grain leather and packed firm for those high flying spikes over the net.